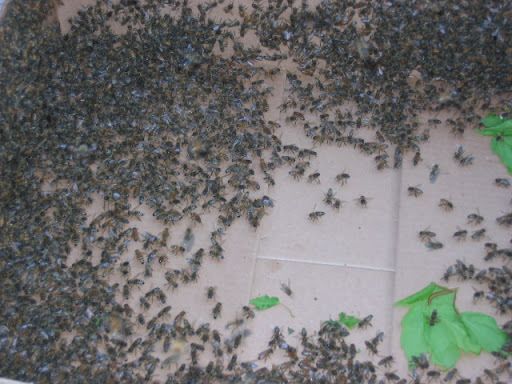 Normally, I object to any kind of XYZ-a-Rama kind of thing, but six swarms from four hives in less than a week is truly breathtaking. 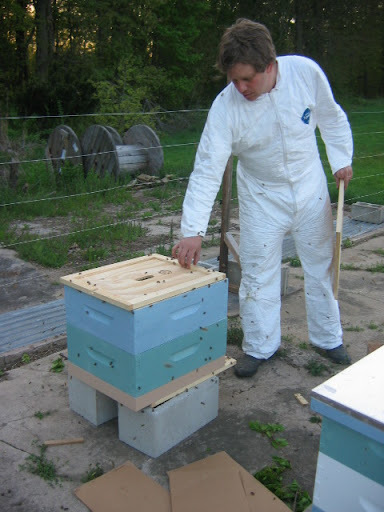 The warm weather and overzealous beekeeping in early April made for very healthy hives. 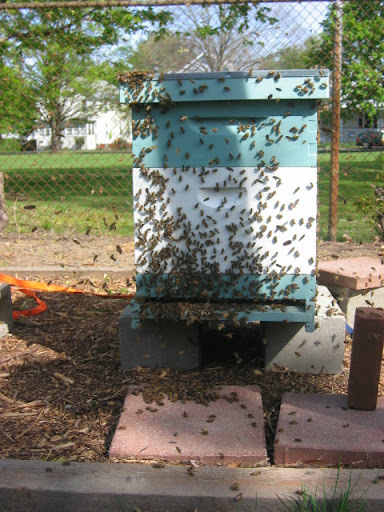 In fact, conditions in the hive looked more like early June than late April. I was very happy with the strong hives, as were the bees. What I've learned is I can create conditions where bees will aggressively raise brood, but I also learned that's not always a great thing. They decided to take the nice weather and great conditions, lots of flowers everywhere, and lengthening days as a signal to swarm. 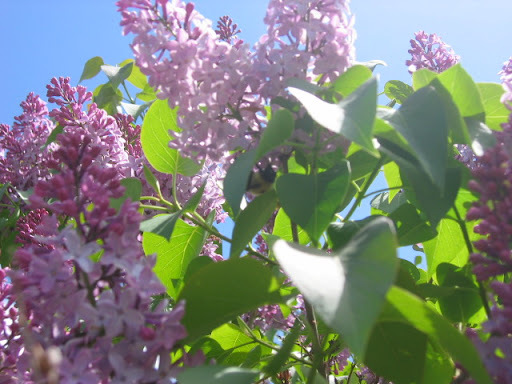 The lilac, dandelions and many fruit trees were in bloom. 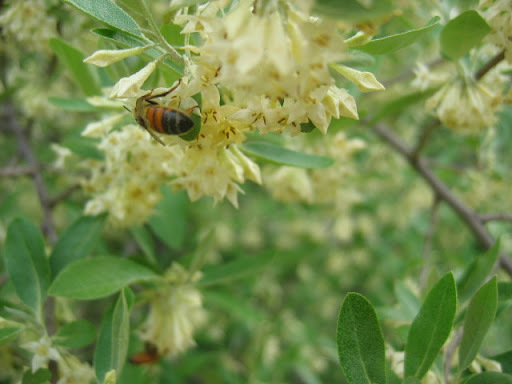 Here one of our bees feasts on autumn olive, a non-native shrub. There were so many bees on these shrubs it was easy to hear the buzzing yards away. When conditions are great, as they were over the last couple of weeks, and the colony strong, the bees will make a new queen from an egg that they select for that purpose. 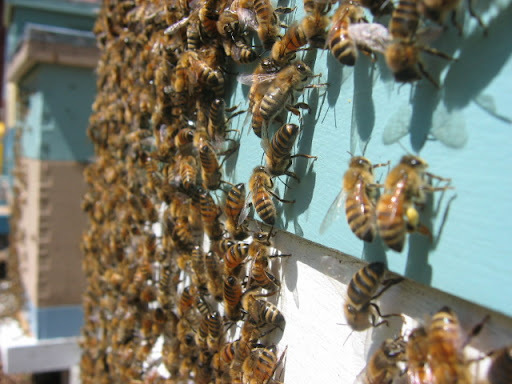 Then, when that egg is about to hatch, they try and force the old queen out on a swarm to start a new hive. This takes many forms. Mostly, the workers stop feeding the queen so she's not too fat to fly (no kidding). So, the queen is in there someplace. Everyone is getting ready to go. I am trying to observe what's happening. If I could find the queen (good luck!) I could grab her and place her in an empty hive, keeping my precious bees! 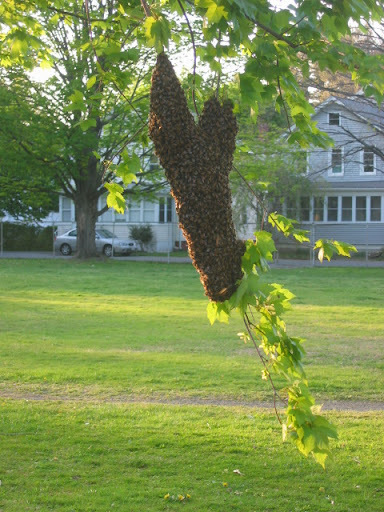 Having a swarm can really set back a bee colony. 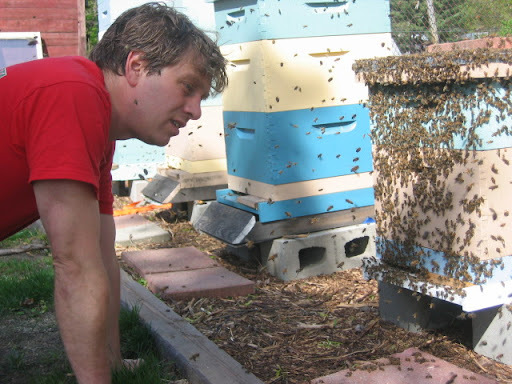 Really, it's possible to lose several weeks of productive laying by the queen, and you will lose half your bees! This is why I look so thrilled. Like broccoli, you can't argue with bees. I can convince our cat not to scratch the couch but bees will swarm once they decide to. This swarm nicely landed in a nearby tree. We captured them by knocking them into a cardboard box. 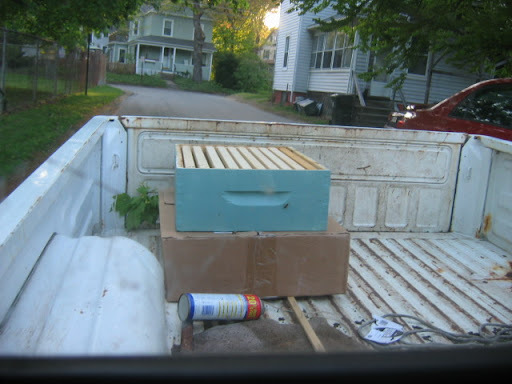 Here is what a cardboard box full of bees looks like, in case you ever wondered. 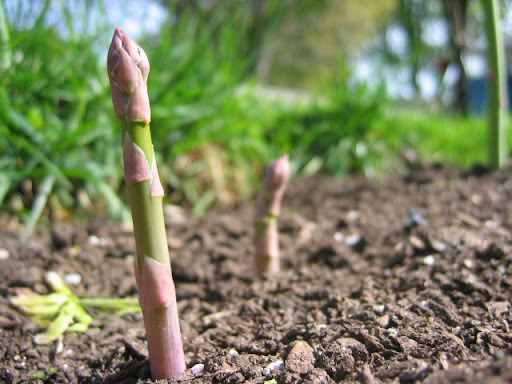 ...where we set them up in their new home. 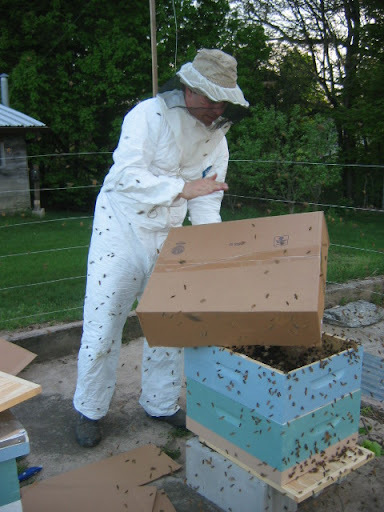 Priscilla and I are now capable enough bee keepers to grow bees and keep healthy colonies; we now need to learn to control swarming. 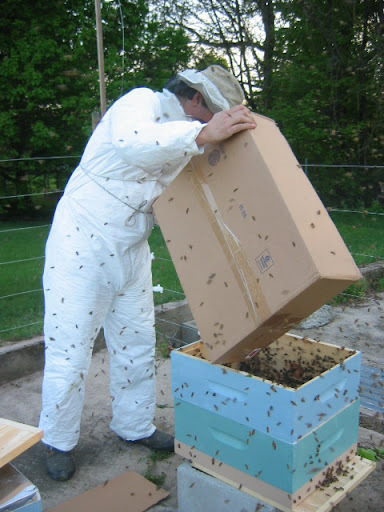 So, we're likely to get less honey from the hives that swarmed than we would have otherwise. Still, we captured 3 of the 6 swarms and colonies started with captured swarms tend to do great! This is my fourth year bee keeping, and it's clear I still have a LOT to learn. The bees themselves continue to be wonderful teachers.